As the evening lights were beginning to fade and dusk was threatening to turn to dark, I called into the Romanian Orthodox Church in Leeson Park, Dublin this evening while the evening service of Vespers was continuing. 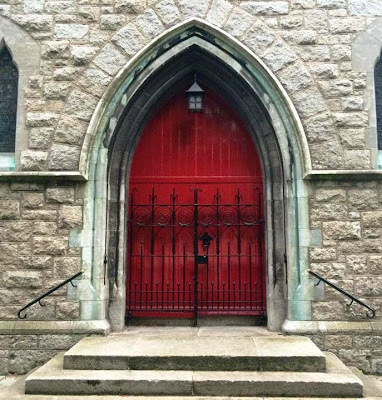 Christ Church, Leeson Park, was once a leading Church of Ireland parish church just beyond the Grand Canal and on the limits of the inner city. For some years it was shared with the congregation of Centenary Methodist Church. 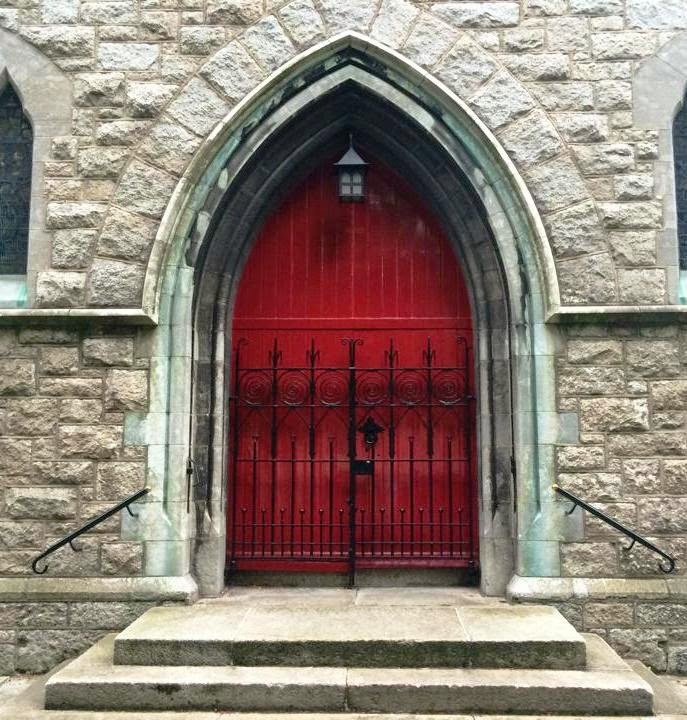 Christ Church was grouped with Saint Bartholomew’s Church in Ballsbridge many years ago, and I am celebrating the Eucharist in Saint Bartholomew’s tomorrow morning [20 July 2014] and preaching. Today, Christ Church is still used for mid-week celebrations of the Eucharist by Anglicans, and is occasionally used for Methodist celebrations, including this year’s installation of a new Methodist President. 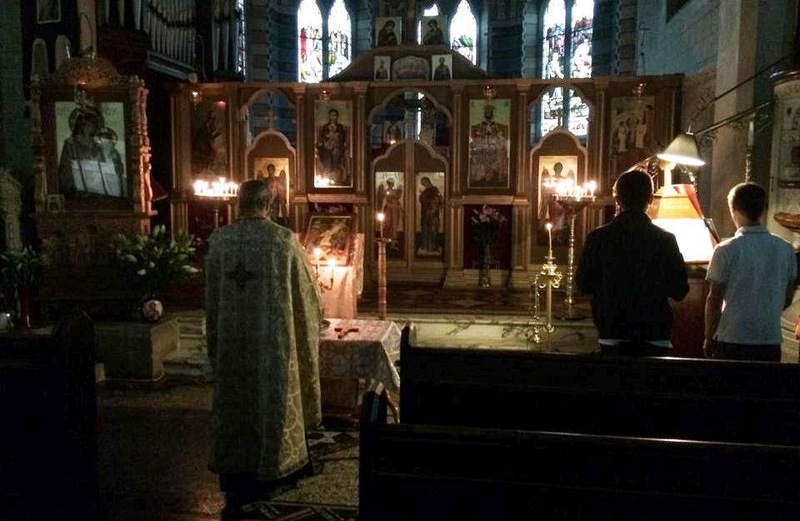 But for most of the time it is used by the principal Romanian Orthodox parish in Dublin. In the Orthodox Church, the liturgical day follows Biblical practice and begins in the evening with the setting of the sun. Orthodox Vespers always begin with the chanting of the evening psalm: “...the sun knows its time for setting. You make darkness, and it is night …” (Psalm 104: 19-20) This psalm, which glorifies God’s creation of the world, is humanity’ very first act of worship, for humanity first of all meets God as Creator. 4 you make the winds your messengers, fire and flame your ministers. 23 People go out to their work and to their labour until the evening. 24 O Lord, how manifold are your works! In wisdom you have made them all; the earth is full of your creatures. 25 Yonder is the sea, great and wide, creeping things innumerable are there, living things both small and great. 26 There go the ships, and Leviathan that you formed to sport in it. 28 when you give to them, they gather it up; when you open your hand, they are filled with good things. 32 who looks on the earth and it trembles, who touches the mountains and they smoke. 35 Let sinners be consumed from the earth, and let the wicked be no more. Bless the Lord, O my soul. Praise the Lord! The sun knows its time for setting. You make darkness, and it is night. O Lord, how manifold are your works! In wisdom you have made them all; the earth is full of your creatures. Alleluia, Alleluia, Alleluia. Glory to you, O God (3). Lord, you are our hope, glory to you. The bread and wine for tomorrow morning’s Liturgy were being prayed over and blessed, and at the end of the day I felt I was present for an appropriate preparation for my own celebration of the Eucharist in Saint Bartholomew’s in the morning. 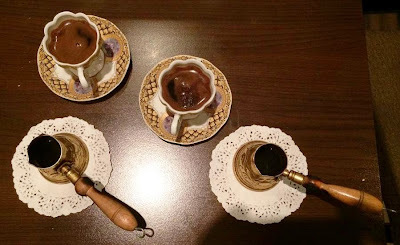 Earlier in the evening, two of us were across the street in Aladdin’s Café in Upper Leeson Street for dinner that was a combination of Egyptian, Lebanese and Greek cuisine in generous portions and in an elegant ambiance. We ended with coffee – it could be Greek, it could be Syrian, it could be Turkish or Palestinian or Lebanese coffee. And I ended thinking of the children in Gaza and praying for peace in this sadly violated region.